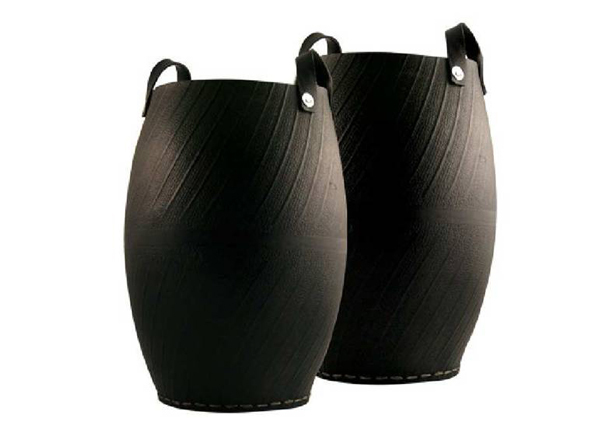 When I think of recycled car tyres turned into planters I always shudder and remember those tacky swans - you know the ones, all the rage in the 80s. But on a trip on Melbourne last weekend I came across these very stylish pots which remind me of La Chamba cookware. They are available from UBeauty Pots and Plants. I managed to pic up two big old atlases this weekend at a garage sale. Plenty of pages to play with so keep an eye out for some more artwork soon. 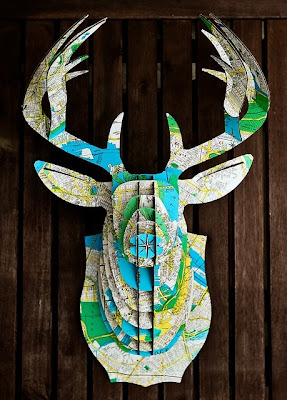 Love this idea of covering one of those cardboard deer heads with maps. Unfortunately the link for this wasn't working so I'm not sure where it came from originally. 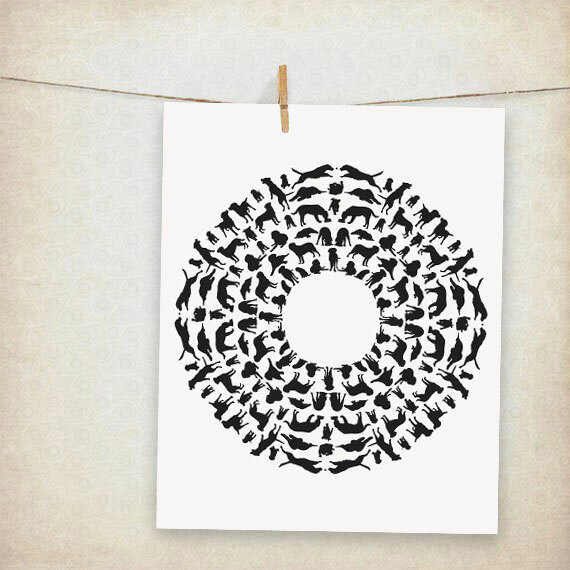 It's been such a hot weekend here, Ive spent most of the time swimming and creating a new puppy mandala. Probably the worlds most popular dog - the lab. Available from my etsy shop. 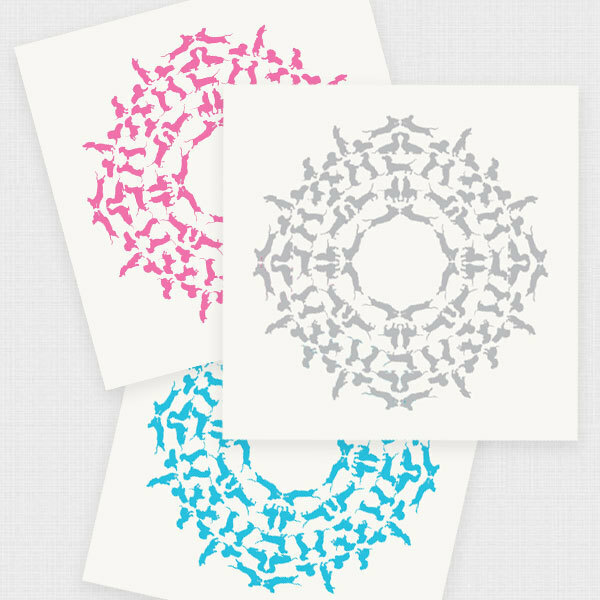 puppy mandala now in four colours!